​Our bodies are a complex and intricate network of many different systems working together; therefore when one aspect is not in balance there are repercussions throughout. The body has a natural craving to be in balance, yet poor posture and bad body mechanics often lead us down a road of aches, pain, muscle imbalance and dysfunction. This is where massage is highly beneficial. ​For many of us, pain has become a common part of our daily lives. Although pain medication may provide relief for a short time, it never targets the cause of pain. Remedial and therapeutic massage focuses on finding the cause of dysfunction; with specific testing , postural analysis and looking at a detailed history of your pain. 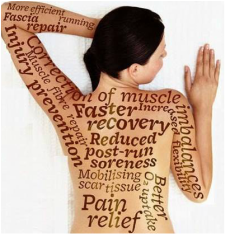 A skilled remedial massage can reduce pain, increase range of motion and generally improve quality of life. 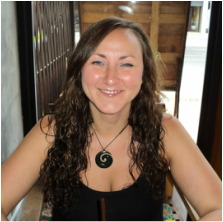 Amanda has trained in three countries since 2005, gathering a raft of techniques from both East and West, to provide a​ more specific and individualised treatment. She is passionate about empowering clients to connect with their bodies; and not chase the pain. This enables them to take responsibility for their own recovery while giving them the tools regain postural alignment and help manage chronic pain. Amanda's determination to get to the root of an issue has been driven by her Journalist background. She firmly believes that the body will always tell the story of what is causing pain and dysfunction, and from there a treatment plan can be formed. ​She has a wide range of experience with sports injuries, chronic pain conditions such as Fibromyalgia and Polymyalgia as well as low back, neck and hip conditions. Each session is specific to each client and utilises a wide range of techniques to achieve the best result. 8am - 7pm Monday to Friday. Weekends on request.